Here on the Ivel Valley farm we’re always looking for new products that will make feeding your garden birds easier and more rewarding. We’re sure you’ve heard of our Ready Peck 5-A-Day range by now; a range of seed and suet products developed with an Ornithologist to contain the very best ingredients for wild birds. Each product in the Ready Peck range contains “five a day” ingredients that benefit the health and growth of wild birds, including; Suet, Oats, Seeds, Nuts and Insects/Berries. The latest product in the Ready Peck range is our most versatile suet product yet! 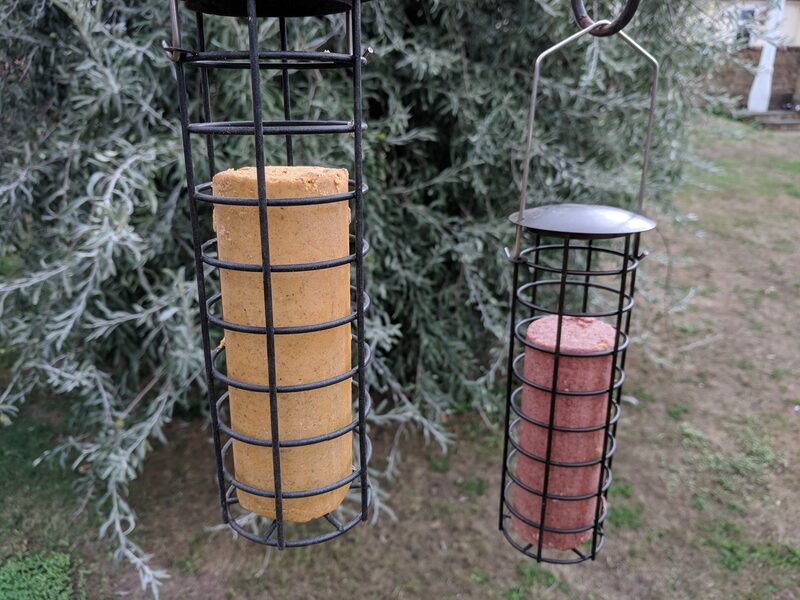 Our brand-new Suet Rolls are designed to fit in a number of different feeders including all tubular suet ball feeders, specialist suet roll feeders and mesh feeders. You can also put the rolls straight onto the ground or on a table, either whole or crumbled, for grounding feeding birds. You can buy Suet Rolls in packs of our 2 most popular Ready Peck flavours; Insect & Mealworms and Berry flavours. Each roll is 400g, that’s the same weight as 5 suet balls, meaning you can fit more suet in each feeder when you use a roll compared to balls. 5-A-Day - Ingredients designed with an Ornithologist to be the best for the growth and development of garden birds. Maximise feeder space - The roll shape means less wasted space in your feeder in between suet balls. Stackable - Once a suet roll runs down, simply add another into the feeder, or stack multiple rolls into longer feeders. Versatile - Designed to fit in all suet ball, suet roll and mesh feeders, as well as on bird tables, or on the ground. Flavours - Available in Insect & Mealworm or Berry flavours. Pick up your Ready Peck Suet Rolls today from just £3.95 and don’t forget to leave us a review!